It seems like companies harvest the contact information of newly registered domain names and bombard them with emails, text messages, and phone calls. These are a nuisance. I don’t know about you, but I also seem to get quite a bit of junk mail directed to my domain names. As you can see, they aren’t exactly directed to my domain names. The mailer must (incorrectly) assume that if I registered SendVegetables.com I must own a business called Send Vegetables. Same goes with the other letters. It seems silly that the senders don’t have some sort of merge/purge in their database to remove mail sent to the exact same post office box. This is just a very small sample of the junk mail I receive that target my domain name registrations. Fortunately for me, I don’t register a ton of names nor do I buy a ton of deleted domain names that appear to have a new registration date. 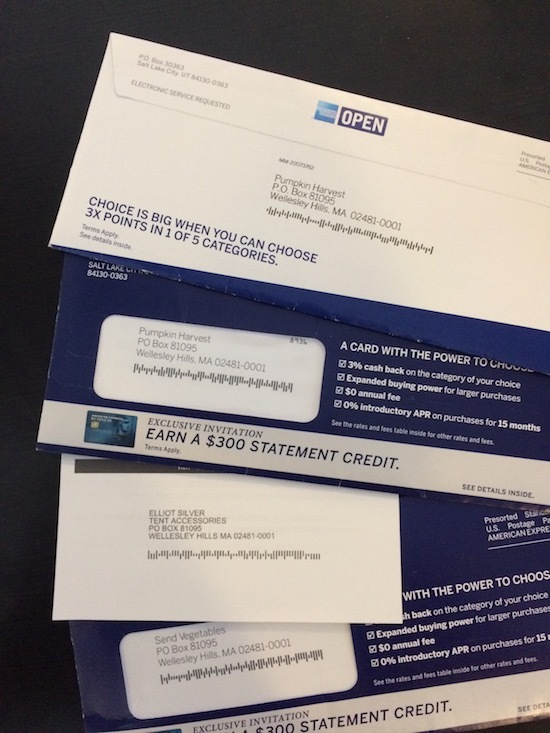 I would imagine the people who register names regularly receive a lot more junk mail that I receive. Seems like a lot of wasted money, although I prefer this over the text message spam and spam phone calls. So if you accept a credit card in the domains name, then sell or delete the domain name, do you still have to pay? I get 8 of these a month, typically directed toward my older domain names but some targeting domains only a few years old but were aged before the drop. Maybe they have an old copy of the zone? Sick of it too! I keep getting calls from indians, what’s that all about? I get tons of these everyday from spamming indians offering there services.. I did the calculation a few months ago, and Comcast Business Services spends around $40/year sending direct mail to my PO Box (and that’s just a postage cost estimate, not paper/printing/people). Such a waste. We don’t have this in France yet. I sometimes receive letters (scams) with offer to transfer my domains but I admit that I impressed to see how far it goes in the US. We get phone calls too but not yet because/about domain names !